Our second port stop was Nawiliwili on the island of Kauai. Our excursion on this day was a Hollywood Movie tour. We saw the filming locations of The Descendants, Six Days and Seven Nights, Gilligan’s Island, The Amazing Race, Fantasy Island, Blue Hawaii, Pirates of the Caribbean and more. We also saw waterfalls, the house where The Thorn Birds was filmed, the beach where the S.S. Minnow washed up, the field where dinosaurs roamed in Jurassic Park. The weather was a little funky, kind of overcast and threatening rain. Sadly, the pictures I got were not so great. My favorite part of the tour was visiting the historic Coco Palms Resort, which closed in 1992 after being destroyed by Hurricane Iniki. This resort has a long, royal history and it's the place where Elvis filmed Blue Hawaii. We even got to meet Larry Rivera, who had a part in that movie and who entertained us during our visit, right on the banks of the hotel's lagoon. The thing I loved most about the Coco Palms resort grounds? The fact that there were over 2,000 coconut trees. 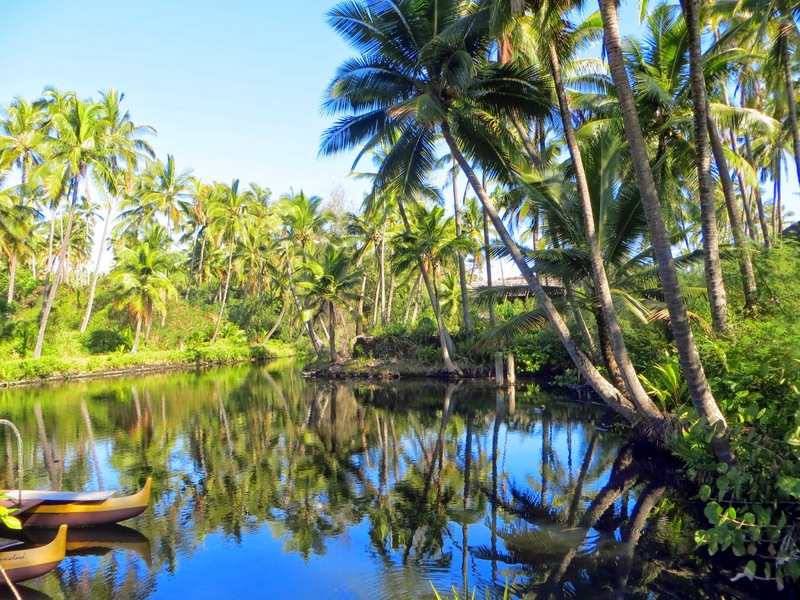 The coconut grove was planted from coconut tree nuts brought to Kauai from Samoa in 1896 by William Lindeman. We took one of those coconuts back to the ship and feasted on it for the next few days. It's rumored that Hyatt will be taking over and opening a new resort on the grounds but from the information our tour guide gave us, the island people aren't happy about it. 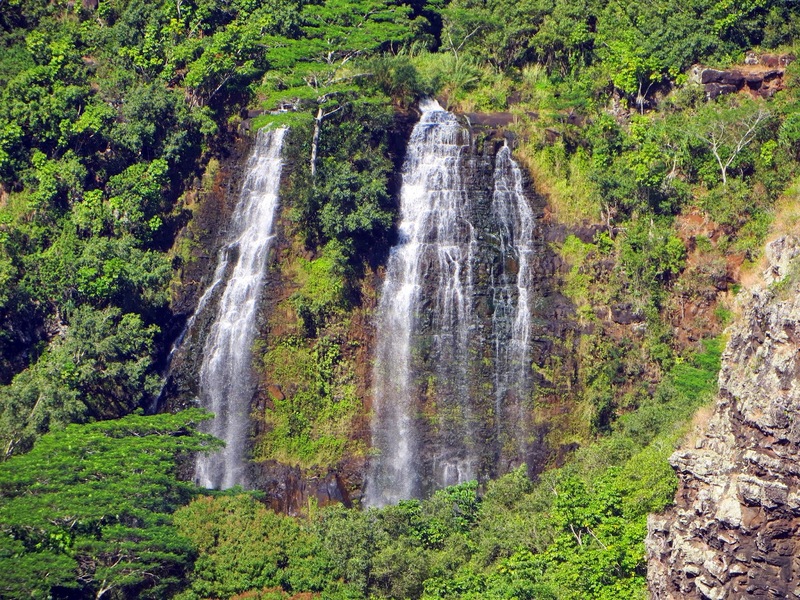 From what I saw, Kauai didn't strike me as "the most beautiful island" some people said it was. I think it was the weather. It may have been the fact that we only saw movie locations. It may have been the very cramped van I had to sit in for six hours, I'm not sure. I don't want to say it wasn't a beautiful place, because how many times does one see a waterfall, on an island? I think I just needed to see more. Another time, perhaps.